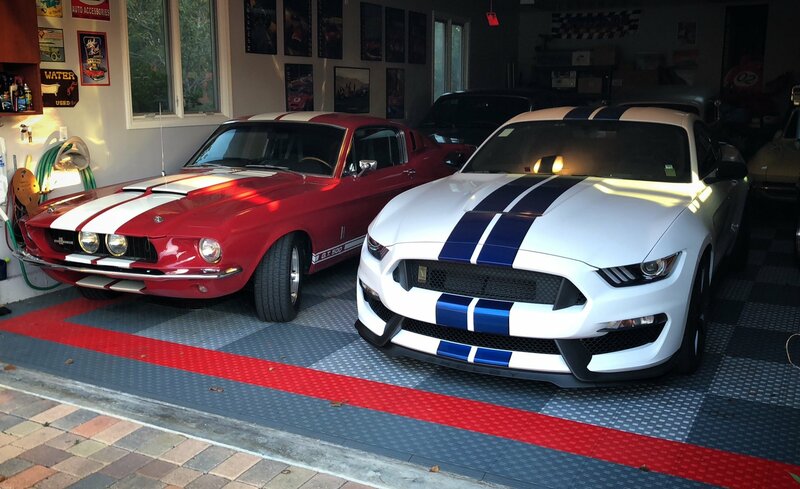 You have a GT350? Congrats! I friggin love those cars. Am seeing used prices really make it hard for me not to want one.. Focus RS for daily driver and GT350 for fun car. Yes! I picked up a used one (1,090 miles) back in April. It seems there's a rash of hardly driven GT350's and R's with almost no miles on the used market. I'm kind of smitten that the GT500 isn't going to have the 5.2L flat-plane mill of the GT350. The sound alone rattles my spine. And it's not about the horsepower or magazine bench-racing #'s. Driving that car is all about the experience...the fact that it isn't a torque monster, and not really a drag car is the best part. Yeah, that sounds weird, but in my youth...all I was after was chasing tenths in the 1/4 mile. Now, I just want to have enough energy on my days off to go for a nice drive and push three pedals. Quoted cuz your comment was lacking the visibility it deserves. I watched some car show on Netflix about the GT350 and wow, if the engine doesn't have a bit of flat-plane Ferrari sound to it, like an old F355 or something. I love it, i want the car just for that sound. What else is tucked away in your garage. Almost looks like a split top old school white corvette in the corner... Or I'm just seeing things. Reminds me of my uncle and how he has two Viper ACRs shoved in his tiny garage (plus tiny house). He doesn't believe in buying big houses. So he can travel all over the place.